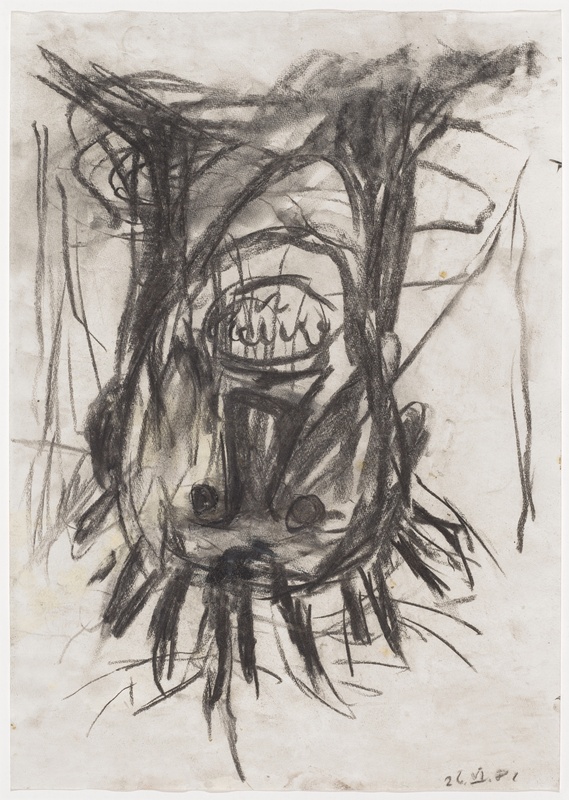 On occasion of his eightieth birthday, the Kupferstichkabinett (Department of Prints and Drawings) honors Georg Baselitz, a leading protagonist of German postwar art, with a retrospective of his graphic oeuvre. One hundred large-format and color drawings offer insight into a probing engagement with the medium that spans six decades. The early drawings reflect the artist’s grappling with tradition and his pugnacious opposition to the dominant tendencies of the time. Recurring themes such as the heroes, the eagle, and the self-portrait contrast with the artist’s continual stylistic and methodical experimentation. An especially radical innovation comes in 1969, when he turns his motifs upside down, drawing the beholder’s attention to form and color rather than subject matter without abandoning figuration altogether. The drawings of the past ten years once again show the artist revisiting, correcting, and varying his earlier work. Self-reflection goes hand in hand with an insouciant and surprisingly unfettered graphic style.